Full-grain oiled leather construction, micro-suede lined, 7” W x 9.25” H x 0.25” D (iPad mini) 13 1/2” W x 11 1/8” H x 3” D (iPad) . Brass button-stud closure. 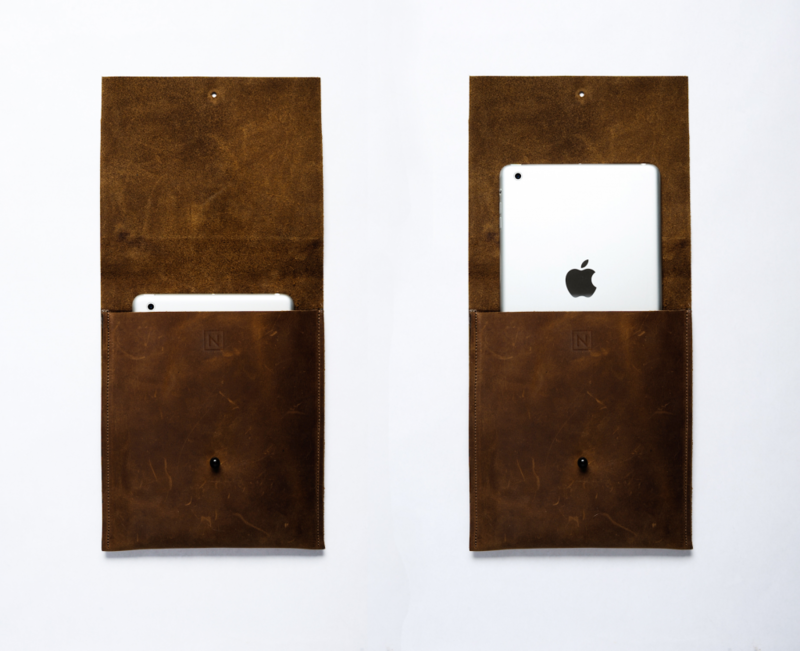 The Neri iPad case will keep your iPad safe and happy. 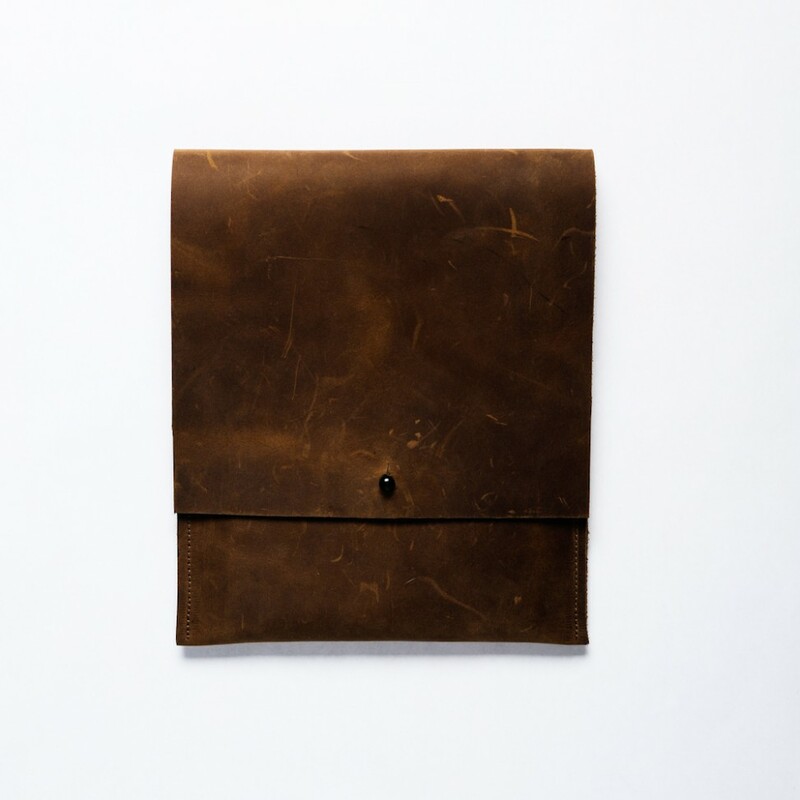 The full-grain Roughman leather will improve with use. Made with love in Napa, California. Lifetime guarantee.